A jalapeno pepper is a mildly that is used in many cuisines and is commonly enjoyed in salsas, salads and guacamole. The pepper seeds are typically started indoors and grow into three-foot tall plants when they mature. If you jalapenos, you'll have the benefit of saving money on your grocery bill and enjoying healthier produce that is not tainted with pesticides. Place your jalapeno seeds on a plate and inspect them for quality. 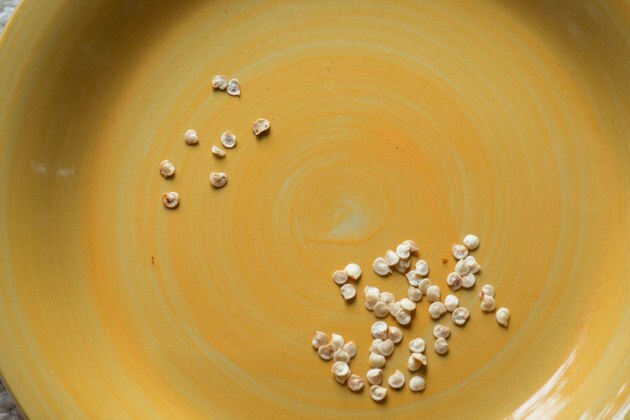 Remove any specimens that are discolored or smaller than the rest because these seeds have less chance of germinating. Fill your with seed-starting soil about 3/4 full. 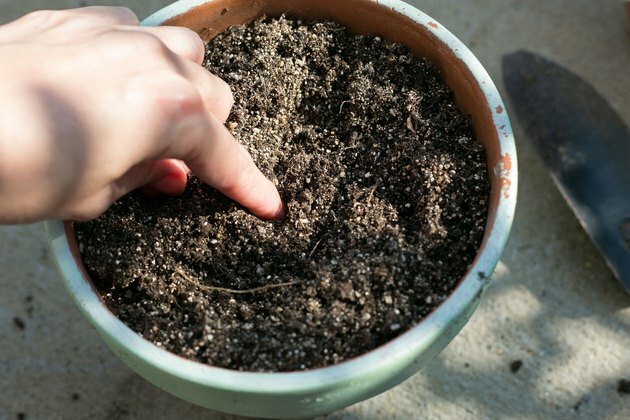 Push your finger in the dirt about 1/8 of an inch down in each individual cell. Drop a seed in each indentation and then cover the seeds with a light layer of soil. Your jalapeno seeds should never be more than 1/4 inch down from the surface because they do not have the ability to push past a thicker layer of soil. 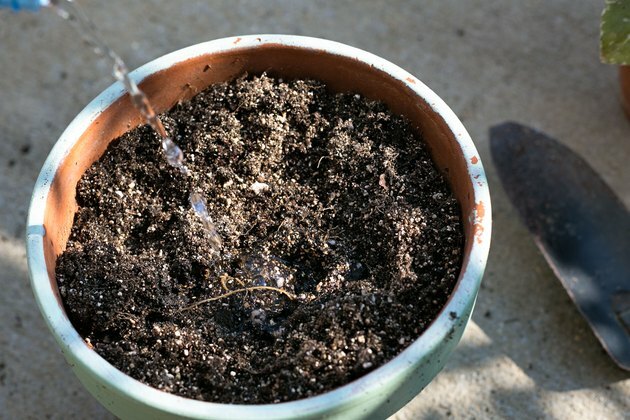 Water your seeds so that the soil is moist but not drenched. Continue to monitor this water level to keep it the same throughout the growth process. 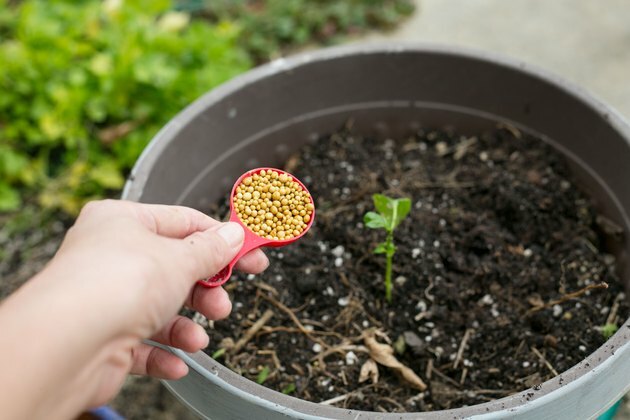 Place the growing container's lid over the seeds to keep them warm. 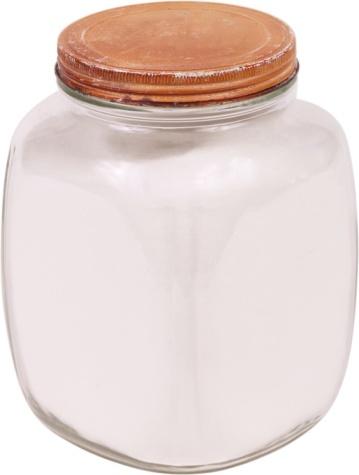 If your container does not have a lid, stretch plastic wrap over the top and poke a few holes on the top for air circulation. 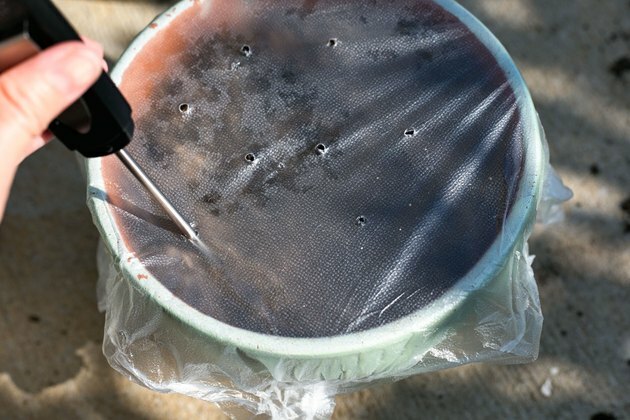 Place a garden heat mat underneath your container or position your container on top of a warm spot such as the refrigerator. Jalapeno seeds thrive in humid, warm conditions. 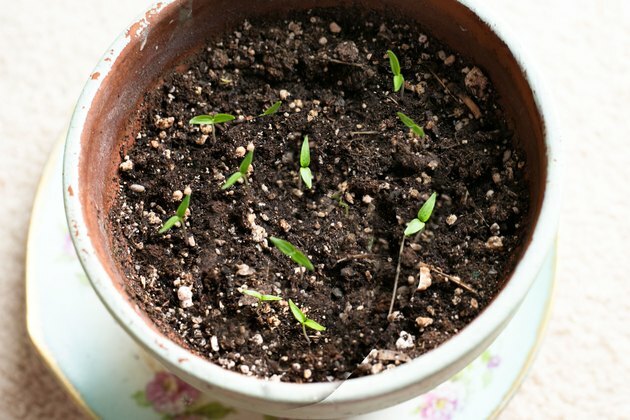 Watch for your jalapeno plants to emerge from the soil in three to five weeks, depending on the variety. 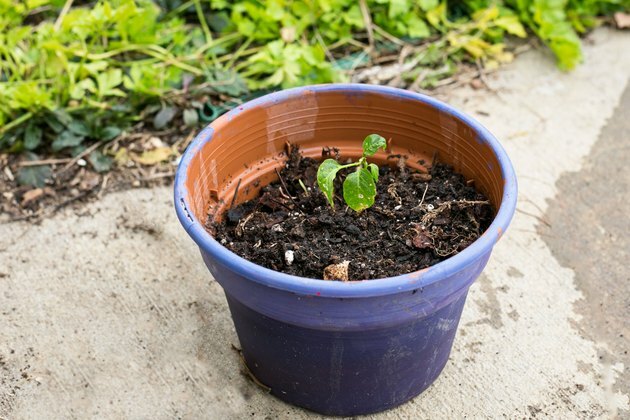 Remove the container's lid or the plastic wrap and then position a fluorescent light about two inches over the top of the tallest seedlings so that they continue to grow. Wait for your jalapenos to develop at least four leaves and then transfer to large pots that have a depth of at least eight inches. 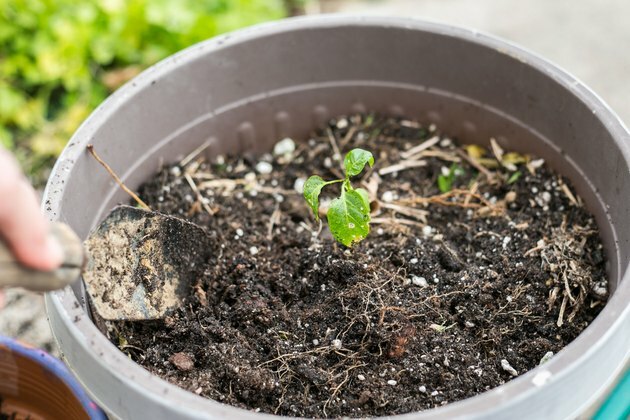 Fill each pot about 3/4 full of soil. 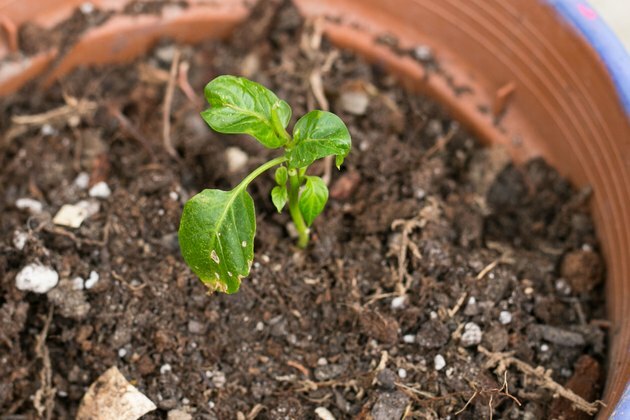 Remove each young seedling from the cells and plant it in the pot at the depth it was growing in the cell. Water the soil to get it moist. 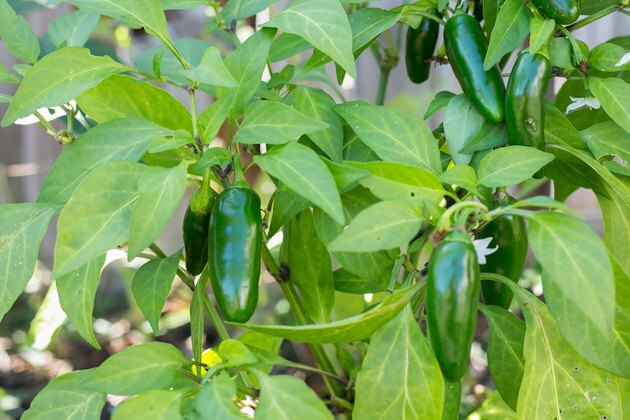 Take the jalapeno pepper pots outside for about an hour each day about two weeks prior to moving them permanently outdoors. 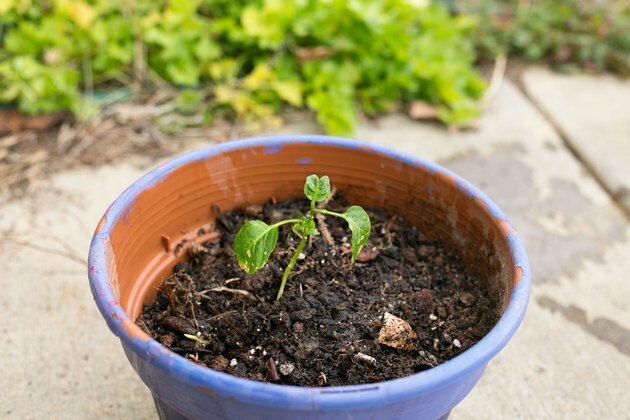 Make sure that your area's last potential frost has passed before moving your plants. Move the pots outdoors in full sun. Transplant each pepper plant into a 5-gallon size pot when they have developed a good root system and achieved about one foot in height. 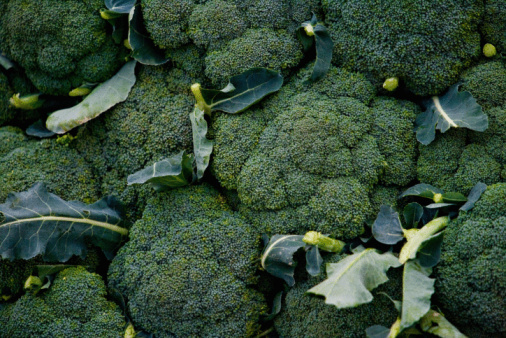 Fertilize with a formulation made for peppers at half-strength every two weeks.